Improved technology is leading to interesting new findings regarding extrasolar planets. NASA’s current list of exoplanets includes 403 objects. Research efforts including the Spitzer Space Telescope, the Wide Area Search for Planets (WASP), and Kepler have recently helped discover extrasolar planets that challenge naturalistic origins theories. Great efforts are underway to find exoplanets that are “Earth-like” and that are within the “habitable zone” around stars. The Gliese 581 system has four extrasolar planets, one of which is only about two Earth masses. A second is believed to be within the habitable zone, but little is known about the planet itself. The WASP program has found one planet that could spiral into the star in less than one million years, and another planet which orbits the star retrograde (opposite to the star’s spin direction). The new Kepler instrument will provide very high quality data on transiting extrasolar planets in our galaxy. Figure 1. Orbits of extrasolar planets around star Gliese 581. Orbits are to scale; planets and star are not to scale. Grid squares are 0.1 AU x 0.1 AU. My previous papers have addressed the evidence for the existence of extrasolar planets (planets around other stars) and the various problems with explanations of their origin.1-3 Various models of extrasolar planet formation include the concept of planet orbit migrating (changing their distance from the star).3 I have argued that extrasolar planets are real but that old-age thinking and naturalistic models are inadequate to explain their origins. Star systems with planets generally are very unlike our own solar system, with planets very near their parent stars and some planets having very elliptical orbits. The NASA Planetquest website indicates there are currently 373 extrasolar planets.4 These planets are orbiting 315 stars. None of them are considered “Earth-like”, according to the Planetquest website. Figure 2. The extrasolar planet WASP-18b lies in an unstable orbit that will cause it to spiral into the star in several hundred thousand years. When the planet reaches its Roche limit, tidal forces from the star’s gravity will tear the planet apart. There is much hope in the scientific community of finding an earth-like planet in a solar system similar to ours. Some systems with multiple planets have been found. One system that has frequently been in the news is the one orbiting the faint star Gliese 581. Gliese 581 is a low mass, red dwarf star in the constellation Libra, about 20 ly from Earth. This star is much less luminous than our sun. In April 2009 a planet was found orbiting Gliese 581 that is approximately twice the earth’s mass.7 This marks the smallest exoplanet yet discovered. This object was the fourth exoplanet found orbiting Gliese 581, thus astronomers call it Gliese 581e. Each new planet is designated with a letter after the star designation in the order they are discovered. The letter “a” is not used but it is intended to represent the star itself, and other objects orbiting that star are labeled with other letters. (Note that in binary star systems the stars involved are identified by capital letters starting with A; lower case letters are used for extrasolar planets to avoid confusion with true stars in binary systems.) There are systems with two or three stars that have planets as well. Because Gliese-581 is a rather small class M dwarf star, the planets are all relatively close to the star. It is important to understand that there are a number of requirements for a planet to be able to sustain life besides just being in the proper temperature range. Today astronomers look at where the planets are in relation to what is called the “habitable zone”. The habitable zone is essentially a range of distances from a star where a planet in that region could possibly allow for liquid water and some carbon dioxide in the atmosphere. This zone is determined primarily by the temperature as a function of distance from the star and the intensity of the star’s radiation. It is thought that if a planet could have sufficient conditions to allow for liquid water, it might be possible for life to evolve there. One of the Gliese 581 planets, object Gliese 581d, is believed to be within the habitable zone,8,9 so there is the possibility of liquid water Gliese 581d. It is important to understand that there are a number of requirements for a planet to be able to sustain life besides just being in the proper temperature range. In addition, natural processes alone cannot explain the origin of life from chemicals even if the proper chemicals were present in an environment ideally suited to life.10 Scientists have not really shown that life could evolve from chemicals by natural processes alone, even on planet Earth! Table 1. The Gliese 581 system. AU = Astronomical Units. Above is a table on the Gliese 581 system.11 Though some information on these planets, in addition to the above, has been estimated or speculated, little else is really clear. For instance, the size of a planet cannot be determined unless a transit measurement has been done, which is not the case for any of the Gliese 581 planets. Thus the density is not known for any of these planets. Nothing is known about the nature of the surfaces of these planets or even if they are gaseous or rocky. For comparison with our solar system Mercury, the closest planet to the sun, has a semi-major axis of 0.39 AU (Astronomical Units) and it orbits our Sun in 88 Earth days. Also bear in mind that the mass computation produces minimum masses, not actual masses. Because of uncertainties in the masses and the orbit characteristics, it is also not known how stable the orbits are for the Gliese 581 planets. One potential problem for habitability in a system like Gliese 581 is that the close proximity to the star would produce tides that likely cause the planets to rotate with one side facing the star at all times, just as our moon does with the earth. This tends to cause temperature extremes that would be a difficult for life. Another important program for planet hunting is the Wide Area Search for Planets, or WASP.12 This program includes a number of collaborators, most of whom are in Great Britain. Two special telescope instruments are used for this work. There is one in the North hemisphere on the island of La Palma off the west coast of Africa at the Isaac Newton Telescope facility. The other is located at the South African Astronomical Observatory near Southerland, South Africa. The WASP instruments each consist of eight wide-field CCD cameras that operate continuously so that the entire sky is surveyed by the two devices. WASP is designed to look for variations in stellar light curves that indicate a transit taking place (where a planet may be passing in front of the star). A number of interesting planets have been discovered by the WASP instruments. Previously uncatalogued stars with extrasolar planets discovered by WASP are given the designation “WASP” followed by a sequential number. The extra solar planets are designated by an appended lower case letter as usual. Two particularly interesting cases are WASP-18b and WASP-17b. Object WASP-18b was detected in a transit measurement reported in Nature in August 2009.13 It has a mass of 10 times that of Jupiter and orbits only 0.02 AU from its star. Thus its orbital period is only 0.94 Earth days. Such a planet is not only an extraordinarily hot planet but it also is a victim of exceptionally strong tidal forces. The phenomenon of tidal dissipation is of much interest in planetary science. Tidal dissipation is the study of the mutual conversion of rotational energy to orbital energy when one body orbits another. For Earth and its moon, energy is transferred to the moon in such a way that it gradually moves farther away from Earth. Tidal dissipation is very significant for Io, the volcanic moon of planet Jupiter in our solar system.14 As a result of study of research into tidal dissipation for Jupiter, a parameter called Q (for Quality Factor) is used to measure how efficient the tidal effect is in Jupiter. 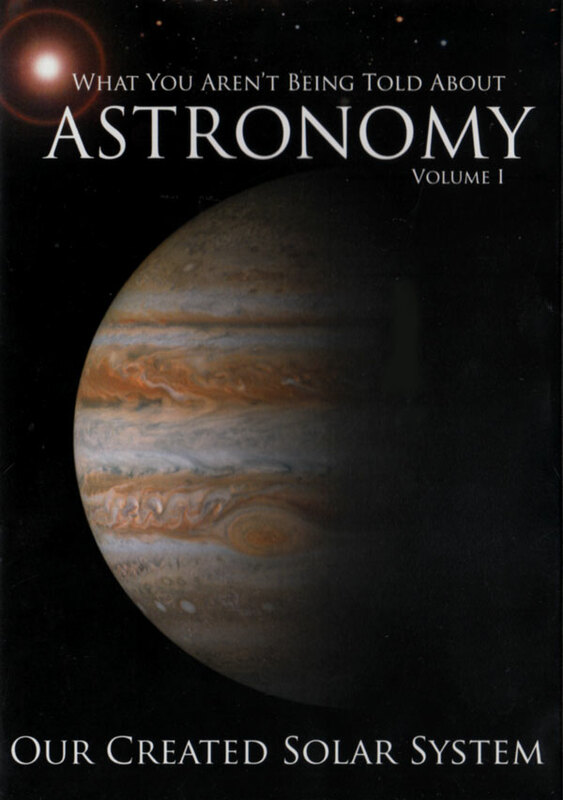 A commonly used Q value for Jupiter is 105 –106 . For a star and planet combination like WASP-18 and 18b, the tidal effect makes the planet spiral into the star more rapidly than any other known case among extrasolar planets. Normally the movement inward by the planet would be too slow to be detected by astronomers. But with WASP-18b, scientists estimate that they will be able to detect the inward motion in as little as a decade. A letter published in the journal “Nature” estimated that if you use a Q value like that of Jupiter’s, planet 18b will fall into the star in as little as 650 thousand years!13 Because this is such a short time span, scientists will probably attempt to either find ways of lengthening the lifetime of the planet or change the Q value. 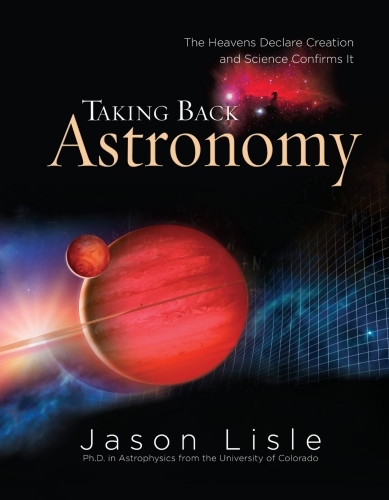 This calls into question the old-age assumptions made about stars and planets as well as naturalistic models for the origin of planets. I would suggest that naturalistic origins theories are often inadequate in the face of the great variety that God has created. WASP-18 is considered to be a young star. The age is estimated at between 0.5 and 1.5 Ga, based on its lithium abundance.13 Astronomers believe that any planet very close to its star formed farther from the star and then migrated inward to its current orbit. WASP-18 is more luminous than our sun, thus its planet would have had to migrate several Astronomical Units distance inward to get to its present position. How long this would take has not been determined yet but it could easily be less than 10 Ma based on theories of planet migration. 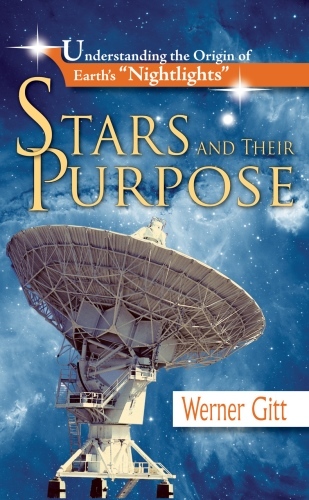 So there are challenging questions for scientists regarding the age of the star and the planet. How could the planet form only several million years ago long after the star formed and the planetary dust disk presumably dissipated? Why has the planet not yet fallen into the star when it is subject to such a strong tidal effect? These considerations suggest that both the planet and the star could have been created only thousands of years ago, as the Bible implies. Surely there will be more research on WASP-18. Creationists should watch this to see how it relates to age issues. 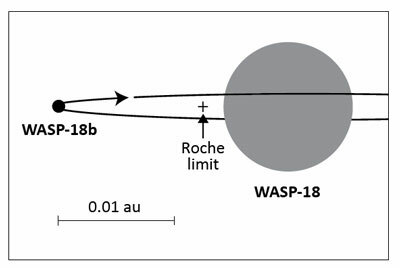 Another planet transit measured in the WASP program was that of WASP-17b. This planet is about 0.5 times the mass of Jupiter but particularly large in size (1.5–2.0 Jupiter radii), making it only 6–14% of the density of Jupiter. It has a 3.7-day orbit about its star and it orbits in opposite direction to the spin of the star.15,16 This is highly unusual. This is not supposed to happen in planet formation because the angular momentum of the planet and the spin momentum of the star both come from the same spinning cloud. In studying this object, 41 spectra and redshift measurements were made from 2007 to 2009. When a planet passes in front of a star, there is a dip in the intensity of the light from the star. A special angle (designated by λ in degrees) indicates the angle difference between the spin orientation of the star and the inclination of the planet orbit. Prior cases of extrasolar planets sometimes had λ values up to 30 to 60°. But for WASP-17b the λ value is-150°. Though there are significant uncertainties in the size of the planet from the measurements, the conclusion that the planet orbits retrograde seems clear. It will be challenging for scientists to develop a model showing how such a planet can form and come into such an orbit. By accepted theories, the planet must have once moved prograde (orbiting the same direction as the star spins) and formed a few AU from the star, then migrated in. It is the disk around the star that is understood to cause this planet migration, but a disk cannot cause a planet to change the inclination of its orbit by a 150º angle. To explain this, scientists must assume that there was another planet present and there was some kind of near miss interaction that modified the orbit of WASP-17b. Currently there is no direct evidence of more than one planet orbiting WASP-17. It might even require multiple such planet-planet interactions to change the WASP-17b orbit enough. 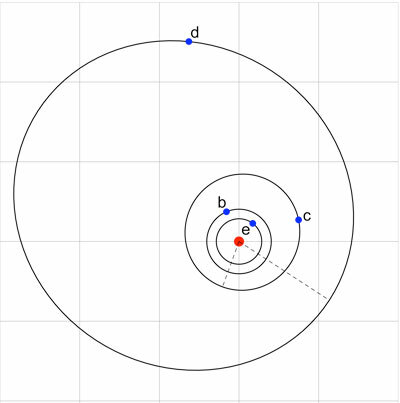 If there was a planet-planet interaction, WASP-17b would have a very elliptical orbit as a result. Then something would have to round the orbit to its current configuration. The researchers made a rough estimate of the planets orbital eccentricity as 0.129.16 This is improbably low for it to be an orbit that resulted from a capture or other gravitational interactions. It may be that tidal effects or the disk could indeed round the orbit. But any naturalistic scenario for attempting to explain WASP-17b is unlikely. I would suggest that naturalistic origins theories are often inadequate in the face of the great variety that God has created. The WASP-17 system is another example (among many) of a star-planet system that was created to be different from our own to demonstrate God’s creative power. In coming years, we are likely to hear much in the news about findings from the new Kepler spacecraft (figure 3). 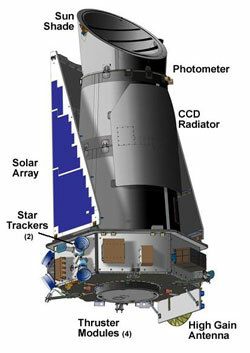 The Kepler mission was launched by NASA in March 2009. The Kepler instrument is a very precise photometer (like a light meter). It measures light across most of the visible spectrum and some in the infrared. The primary goal of Kepler is to search for Earth-like planets in our own galaxy. It will concentrate its attention along one arm of the Milky Way galaxy and look for transiting extrasolar planets. Kepler has only recently undergone initial tests by aiming it at a known extrasolar planet whose star is called HAT-P-7. Scientists are quite excited by the high quality data that will be available from Kepler. Initial tests show the spacecraft is working quite well. The Kepler spacecraft has exceptional capabilities that will provide better data for the analysis of extrasolar planets. When a planet orbits a star and passes in front of it, it is referred to as a transit. During a transit, there is a relatively large dip in the brightness of the light from the star. Then when the planet passes behind the star, this is called an occultation. The occultation produces a much smaller dip in the light from the star. Kepler is able not only to detect the large dip from the transit but also detect the smaller dip from the occultation. In addition, Kepler is also able to measure the gradual rising and falling of the brightness in between these two dips in the light curve. The gradual slope of the brightness curve between the transit and the occultation essentially represents the phases of the planet, just as our moon has phases and varies in brightness as it orbits the earth. So Kepler is actually able to detect the light reflecting off the planet as it passes behind the star.17 Having the combination of both the transit and the occultation in the light curve in great clarity will allow an unprecedented study of these objects. The data from HAT-P-7b implies that there are very large temperature variations on this particular planet, which is a planet apparently similar to Jupiter. Early tests from Kepler show that it has the necessary sensitivity to detect the small light curve variations in a star’s light that would occur by a planet similar to Earth in size. I would argue that better data always works in the creationist’s favor. It will take time for the Kepler team to find interesting planet candidates among many stars. It will be interesting to see what the Kepler mission discovers. Today much is being learned about planets and dust disks that exist around other stars. 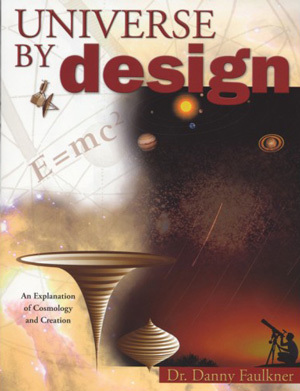 As Christians and creationists we believe objects in space were made on Day 4 of creation. To me, supernatural creation during Creation Week only thousands of years ago seems to be most logical way to understand extrasolar planets. Today, creationists are exploring cosmology models that explain light travel time in the universe through cosmological scale time dilation. These theories could have bearing on processes affecting extrasolar planets and dust disks around stars. Nearly all extrasolar planets found to date are within a few thousand light-years from Earth, where the stars are all found to have low redshift values. A few of these are more than 10,000 ly from Earth, which still puts them well within our own galaxy. Thus far, according to creationist cosmologies, time dilation effects may be very small for such nearby objects. In any case, even 403 known extrasolar planets represents a limited sample. We are still limited by the technology we possess for detection of these objects, and more research is likely to bring us interesting new insights. Concerning habitable or Earth-like planets, it is important to keep in mind that even if scientists find a planet like Earth with liquid water on it, it does not imply that life could evolve there. This is clear from recent research showing the great complexity of living cells. Though extrasolar planets are being discovered which appear to be increasingly Earth-like, no definitely habitable planet except our own has yet been found in the universe. There is another problem with Gliese 581d being a habitable planet—Gliese 581 is a variable star. Gliese 581 has the variable star designation HO Librae, and it is classed as a BY Draconis variable. BY Draconis variables generally are known as being of “late spectral type”, as is Gliese 581. This implies Gliese 581 is cooler in temperature than our sun and it is a relatively young star from an old-age perspective. The variation of BY Draconis variables is irregular, and their variability is thought to result of the combination of many star spots (similar to sun spots, but far more numerous) and the rotation of the stars. BY Draconis stars are prone to chromospheric activity, which produces flares. BY Draconis stars can vary by as much as a half magnitude, but the General Catalogue of Variable Stars lists Gliese 581’s variation as 0.02 magnitude in the visual. This is equivalent to variation in brightness of 2%. A brightness change of this magnitude would produce large temperature swings in a planets atmosphere that would likely kill living things. Furthermore, we have observations of Gliese 581 spanning only a few decades. We do not know the nature of these stars variability over hundreds or thousands of years. It is entirely possible that in the past or in the future Gliese 581 has or will vary by far more than 2%. The kinds of flares measured on other BY Draconis variable stars would be lethal to living things, so if Gliese 581 has ever behaved or began behaving like stars similar to it, there would be severe doubts about the possibility of life on planets orbiting it. When we combine the variability of Gliese 581 with the elliptical orbit and likely synchronous rotation of Gliese 581d, the possibility of life there seems remote. Extrasolar planet “100% likely” to have life? Spencer, W.R., The existence and origin of extrasolar planets, Journal of Creation (formerly TJ) 15(1):17–25, 2001. Return to text. Spencer, W.R., Rapid planet formation, Journal of Creation (formerly TJ) 17(3):19–21, 2003. Return to text. 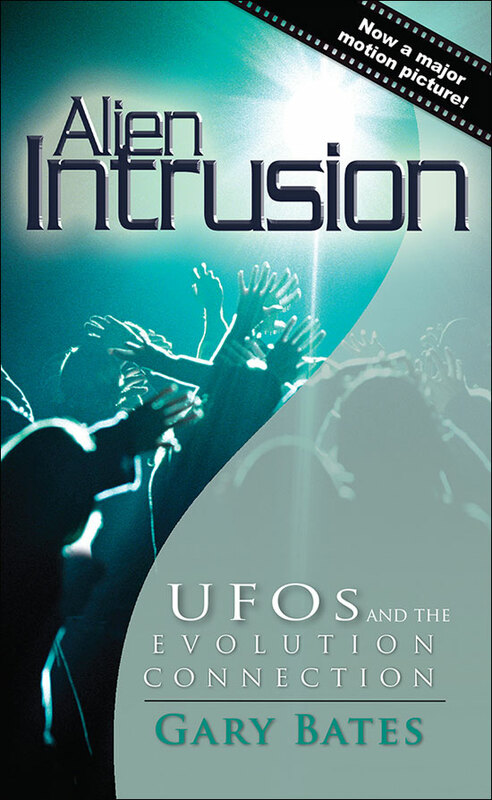 Spencer, W.R., Migrating planets and migrating theories, Journal of Creation (formerly TJ) 21(3):12–14, 2007. Return to text. http://planetquest.jpl.nasa.gov; numbers as of 5 November, 2009. Return to text. Williams, P.K.G., Charboneau, D., Cooper, C.S., Showman, A.P. and Fortney, J.J., Resolving the surfaces of extrasolar planets with secondary eclipse light curves, Astrophysical Journal 649:1020–1027, 2006, arXiv:astro-ph/0601092v2; arxiv.org/abs/astro-ph/0601092. Return to text. Whitney C., Press release, Closest planetary system hosts two asteroid belts, Jet Propulsion Laboratory, 27 October 2008; www.spitzer.caltech.edu/Media/releases/ssc2008-19/release.shtml. Return to text. ESO Press release, Lightest exoplanet yet discovered, 21 April 2009, www.eso.org/public/outreach/press-rel/pr-2009/pr-15-09.html. Return to text. Astronomers find first habitable Earth-like planet, Science Daily, 24 April 2007, www.sciencedaily.com/releases/2007/04/070424204528.htm, 1 October 2009. Return to text. Von B.W., Bounama, C., Cuntz, M. and Franck, S., Habitability of super-Earths: Gliese 581c & 581d, Exoplanets: detection, formation and dynamics, Proceedings of the International Astronomical Union, IAU Symposium, vol. 249, p. 503–506, 2008; adsabs.harvard.edu/abs/2007arXiv0712.3219V. Return to text. Sarfati, J., Refuting Evolution 2, Master Books, Gree Forest, AR, chapter 9, Argument: probability of evolution, pp 151–160, 2002. Return to text. Star : Gl 581, exoplanet.eu/sta.php?st=Gl 581, 1 October 2009. Return to text. Wide Area Search for Planets, UK, www.superwasp.org, 1 October 2009. Return to text. Hellier, C., Anderson, D.R., Cameron, A. et al., An orbital period of 0.94 days for the hot-Jupiter planet WASP-18b, Nature 460:1098–1100, 27 August 2009; letters section, doi:10.1038/nature08245, www.nature.com/nature/journal/v460/n7259/full/nature08245.html. Return to text. Spencer, W.R., Tidal dissipation and the age of Io; in: Walsh, R.E. (Ed. 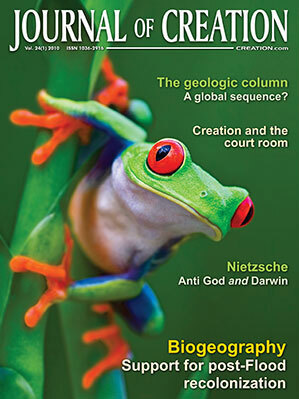 ), Proceedings of the Fifth International Conference on Creationism, Creation Science Fellowship, Pittsburgh, PA, pp. 585–595, 2003. Return to text. Huge planet orbits wrong way, 12 August 2009, www.astronomy.com/asy/default.aspx?c=a&id=8536. Return to text. Anderson, D.R., Hellier, C., Gillon, M. et al., WASP-17b: an ultra-low density planet in a probable retrograde orbit, Preprint draft dated August11, 2009, eprint arXiv:0908.1553v1; eprintweb.org/S/article/astro-ph/0908.1553. Return to text. Kepler’s Early Science Results, www.kepler.arc.nasa.gov/press/earlyresults.html, 1 October 2009. Return to text.